It was a weekday and roommates Colin Ross and Remington Butler were discussing the most recent season of “The Bachelorette.” Butler suggested that Ross resembled one of the previous contestants who appeared on the show. He jokingly suggested they should advertise him as “the bachelor of Provo” and see if any girls might be interested. The roommates laughed and joked back and forth until the conversation died down. Days later, Ross saw his face on fliers being passed out to people he had never met. Other fliers were hung up inside women’s BYU freshman housing. He went along with the joke and didn’t stop to think much of it. Soon enough, more than 200 women responded to the advertisement expressing interest. At that point, the friends decided to roll with the idea and brought on Carson Bown, another friend of theirs, as videographer and co-director. 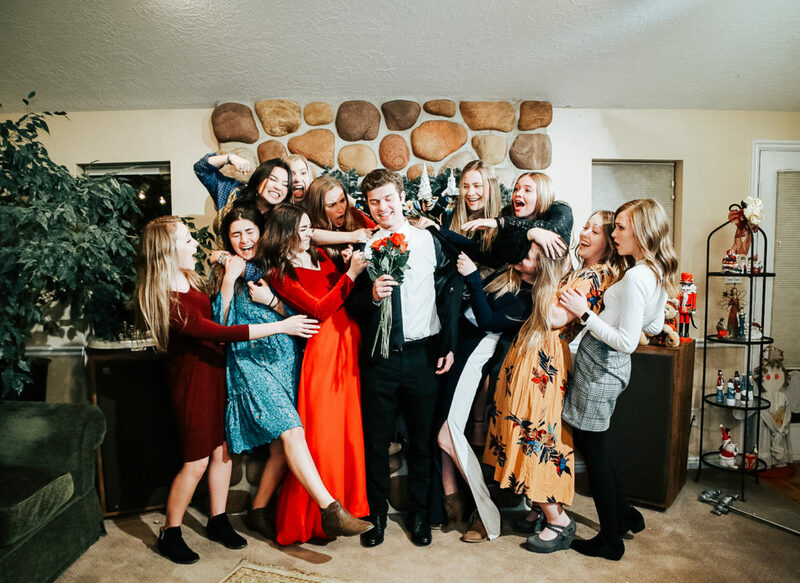 They recruited other crew members, and before he knew it, Ross was standing on the front porch of a home, greeting 22 women who were interested in dating him. Butler is the director, producer and host of the show and Ross stars as the bachelor in the series. Both Butler and Ross are freshmen at BYU. Carson Bown was brought on as the director of photography and assistant director. Though the idea for show began as a joke, the friends quickly began to take it seriously as they realized how many people were interested in it. “We’re just trying to find him a girlfriend, that’s the main goal right there,” Butler said. After the first episode was released, word spread quickly about the YouTube series and viewers became interested, many of whom asked in the comments whether the show was intended to be a joke. 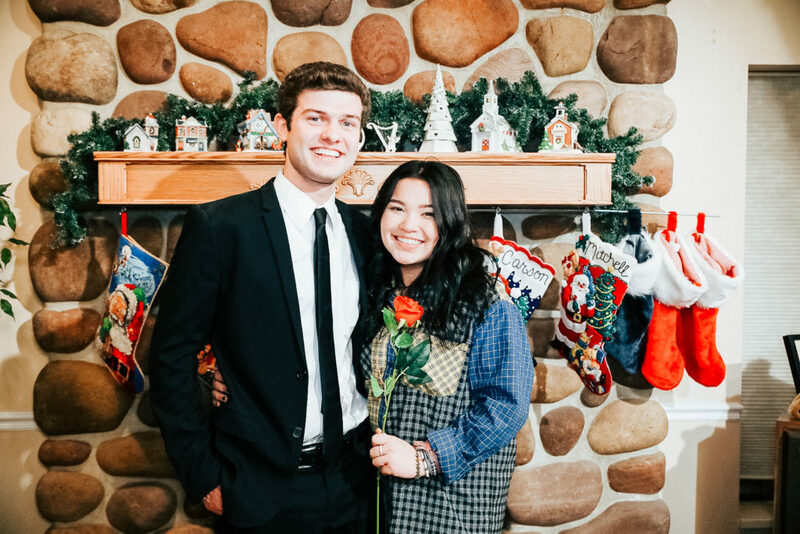 The first episode of “The Bachelor of Provo” has over 132,000 views on YouTube as of Feb. 11, and the views continue to climb as word about the show spreads. Ross said he doesn’t have much experience with girlfriends and his intentions for being on the show were to get more dating experience. He was a bit nervous going in, he said, but he ultimately just wanted to have fun. Although the show started out as a joking parody of the original, Ross approaches each episode genuinely and tries to be himself. Ross said people have created memes with clips from the show and he laughs at them along with everyone else. Bown and Bulter said many people have asked them if they are concerned with any legal issues that could arise from making a show based off of the original ABC shows “The Bachelor” and “The Bachelorette,” but they said they are not too concerned about it for the moment. Parodies are protected by fair use under copyright law which means they can be created without permission from the copyright owner. Bown said if legality issues ever do arise, they could simply change the name and make it a dating show instead. Bown and Butler said the whole process has been good experience for what they are interested in doing with their future careers. “We’re just going to continue as long as we can to build up our experience, our resumes, and as long as we keep having fun, I think we’ll keep doing it,” Butler said. They mentioned that having fun and gaining hands-on experience in directing, filming and producing has been the biggest drive for them as they continue to produce the show. Bown is studying film and Butler is studying advertising. “Before we put out the first episode we were thinking, ‘If this doesn’t take off it will open doors to other things we want to do,’” Bown said. Butler said the show is creating quite a buzz. Several local businesses have even contacted them offering filming locations for dates and rose ceremonies. Butler said at first they had to reach out to businesses, but now companies are reaching out to them. Wadley Farms, a wedding reception venue in Lindon, offered their property for filming the most recent rose ceremony. The cast and crew are volunteers who give their time to produce, film and edit the show. Butler said they even have people contact them simply wanting to help in any way they can without anything in return. The production time for the show is slowed by limited resources and the time it takes to edit in between each episode release. So far, there have been two weeks between the release of each episode. The fact that the cast and crew are filming as they release new episodes has created a unique dynamic. The creators read comments from the previous episode and implement any feedback they feel will enhance the show. “We look at our episodes a lot after, and we’re like, ‘We really could have improved that,’” Butler said. Ross said releasing episodes while they are still in the process of filming future episodes gives them the opportunity to make changes as necessary. Other comments have called for more drama on the show. Butler said he wants everyone to feel comfortable during show production and not pressured to do anything they don’t want to do. Butler said the actual filming process can be difficult with so many schedules to work with. He said the typical filming process will include multiple days throughout a week. Filming includes the production of a group date, a one-on-one date and the rose ceremony. He said the rest of the season will remain that way. They do, however, plan to make changes to speed up the process in the future. Nobody involved in the production said they expected the reaction the first episode received. Butler said he was initially hoping for two or three thousand views, but both episodes have far surpassed that. He said the views have helped motivate them to improve the quality of filming and take the project more seriously. As the view count rises, Ross said he has started to be recognized on and off campus. Some comments mentioned the show is reflective of Provo dating culture and that the awkwardness or the “cringey” moments that occur during the show are relatable. Butler said dating is something people in Provo talk about all the time. Butler and the rest of the crew already have plans for another season. They recently announced on their social media pages that they will be filming “The Bachelorette of Provo.” The crew said they have plans to film and edit everything in advance and then release episodes subsequently after.